Constructed: 211 – 206 B.C. 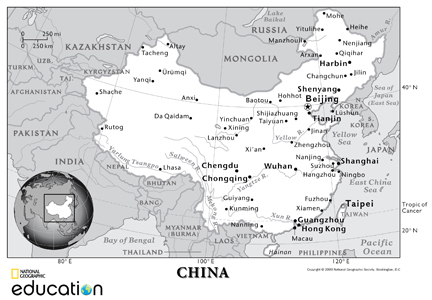 Where are Terra Cotta Warriors located? The archeological site of Terra Cotta Warriors and Horses is located about 1.5 km or 1 mile east of Emperor Qin Shi Huang's Mausoleum in Lintong, Xi’an, Shaanxi Province. Xi’an, the provincial capital of Shaanxi, is located in the central region of China. How to get to Terra Cotta Warriors? Xian has convenient modern transportation facilities and is quite easy to get around in. Xi'an is about 1200 km to the Southwest of Beijing. Beijing Capital International Airport is the main international airport serving Beijing, China. Xi’an is located about 1300 km from Shanghai. Shanghai Pudong International Airport is the primary international airport serving Shanghai. Xi'an Xianyang International Airport is located 40 km northwest of the city centre, in Xianyang. Hilton Xi'an is located in central Xi’an and is surrounded by some of the city’s most popular shopping areas. It is one of the quintessential hotels in Xi’an that is ideal for both business and Leisure travelers. The Hilton Xi'an hotel is located within Xi'an's 600 year old City Wall and is only a few minutes' walk from the Bell Tower, a Xi'an landmark monument also considered the heart of the city. The hotel is surrounded by leisure and entertainment facilities including department stores, shopping centers, bars, a night market, a variety of restaurants, movie theaters and historical sightseeing sites. The hotel is also close to the main subway line, the train station and is only 45 minute drive from Xi'an International Airport and the Terracotta Museum. The majestic Sofitel Xi'an On Renmin Square is located right in the heart of its walled city. It is in the hotel complex of beautifully landscaped gardens stand a series of historical buildings of Sino-Russian architecture echoing more than 50 years of history. The heritage of Xi'an and the classic French hospitality of Sofitel combine to create a stunning 5-star hotel welcoming business and leisure travelers to the heart of the city. It is located very centrally within the Xi'an city walls near many historical sites including the Bell Tower, Drum Tower, Great Mosque, and Forest of Steles. The airport and Terra Cotta Warriors are both a 45-minute drive. Located in the prestigious financial and shopping district of the Gao Xin Hi-tech Development Zone, the Shangri-La Hotel, Xi'an enjoys easy access to Xi'an’s leading business, entertainment and shopping destinations. A prime residence for both business and leisure travelers, the hotel is just 30 minutes drive from Xi'an International Airport and 45 minutes from the world-famous Terra-Cotta Warriors Museum. Have you already visited Terra Cotta Warriors or plan on visiting? 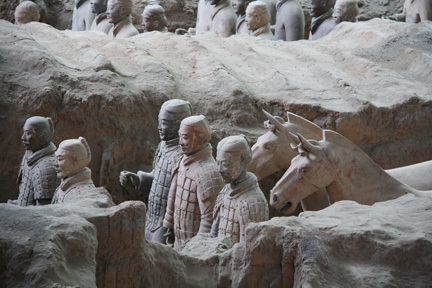 Do you have an interesting Terra Cotta Warriors travel story? We would love to hear about your Terra Cotta Warriors travel experiences, your reviews of hotels, restaurants, or tours, your top travel tips and any recommendations...anything about the Terra Cotta Warriors travel that you can share with us. Click on the links below to read some great Terra Cotta Warriors travel stories, reviews, and tips shared by other visitors. Xi'an is home to the world-famous Terracotta Warriors Army and Horses, one of the most significant archeological excavations of the 20th century. 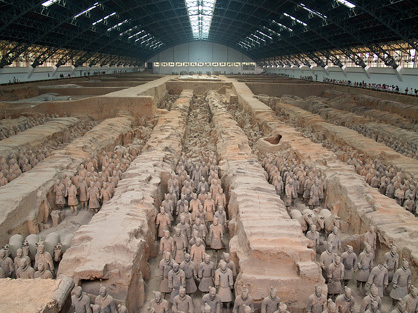 This full-day tour offers you the opportunity to explore the site, where 7,000 of these life-sized figures were constructed to guard Emperor Qin Shihuang's tomb. You?ll also visit the Banpo site (home to artifacts of a Neolithic matriarchal community). Travel back in time to three different time periods in Xi?an! The Banpo Neolithic Village gives a great background of prehistoric times, while the Terracotta Warriors and Horses display takes you to 210 BC during the time of Qin Shi Huang, the first emperor of China. Discover the Big Wild Goose Pagoda, offering a unique look at architecture from the Tang and Ming dynasties. You?ll also visit an authentic Chinese market and enjoy lunch at a local restaurant. This full-day guided tour delivers a fantastic historical and cultural overview of the province.